A business logo is one of the cornerstones of successful branding. A great logo can make your company unique, instantly recognizable and distinct. As such, it makes captivating consumers, standing out from among competitors and marketing your products or services much easier. Popular brands like Apple, Coca Cola and LG are strong in part because they have great logos. Branding is perhaps the most critical determinant of success. 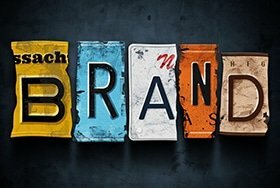 A well executed brand can make you instantly recognizable, outstanding and unique. A brand can ultimately make you better positioned to achieve your goals. This rings true whether you are a business, a charity or even an individual.